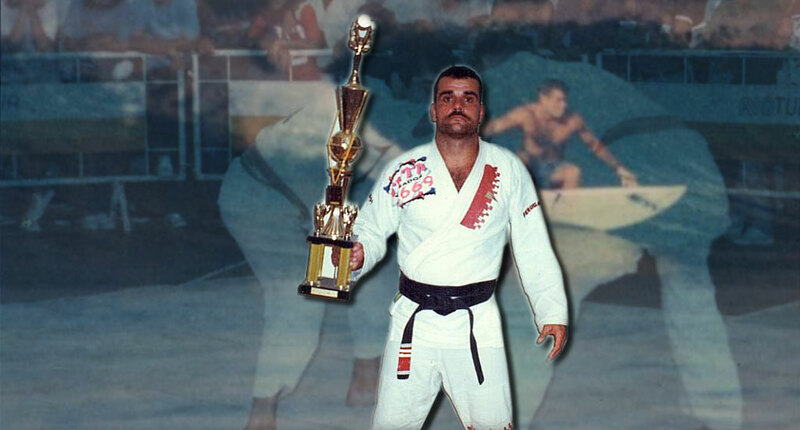 One of the most beloved figures in Brazilian Jiu Jitsu during the 1980s and 1990s, Sergio Jardim, better known as Sergio “Malibu” was a black belt under Rickson Gracie and a member of the original Rolls Gracie academy, as well as a coral belt (7th degree), which he earned in 2011. One of the main instigators of the healthy relationship lived between jiu jitsu and surfing, Malibu was also an important figure in the development of the Master team in the 1990s, and in the development of world champions, such as Fabio Gurgel or Alexandre “Gigi” Paiva, while he himself won important competitions as the Pan American and the Brazilian National could attest. Nickname: the name Malibu started when Sergio was between 13 to 14 years old, in the Arpoador beach. In the South Zone of Rio de Janeiro during the 60s and 70s, it was common practice for youngsters raised in the local beaches to have nicknames, usually given by the elders. In the case of Sergio, due to the strong influence surfing had in his life, and with few options to have belongings imported from the US, he used more than often a t-shirt with a colourful design and the word Malibu written at the front, an allusion to the famous North American beach. Due to the repeated use of the shirt, surfers of the area began calling “Malibu”, a name which remained the course of adult life of Sergio, he is often called “Maliba” as well (short for Malibu). Sergio Jardim was born on the 10th of February, 1958, in Rio de Janeiro – Brazil, having been raised around the now-defunct Pier of Ipanema. Malibu started learning jiu jitsu as a toddler, being enrolled by his mother at the Barreto brothers gym, this only lasted for a short while. Later, at the age of 10 he did judo and in his mid teens he also added capoeira, but these were smaller hobbies when compared to surfing, Malibu’s real passion. In the mid-70s Relson Gracie started hanging out with the surfing crowd, being the first member of the Gracie family to make surfing a habit. Soon Rickson joined Relson in the his surfing activities. With short, dark hair, and wearing the “sungão” (trunks) instead of the traditional surfer loose board shorts, the appearance of the Gracie contrasted completely with that of the surfers, even so, they all became dear members of the surfing community, a community to which Malibu belonged. One of the moments that helped Malibu’s decision to train jiu jitsu was an episode occurred at Pepino beach in 1977, when the famous Hawaiian surfer, Byron Amona arrived in Rio de Janeiro for the Pro Surf Tour. Byron brought a great deal of attention to himself and other surfing stars such as Michael Ho and Mike Purpus. Wanting to take advantage of the opportunity to surf alongside these stars, a well known surfer from Arpoador beach, nicknamed “Foca” borrowed Malibu’s surfboard and hit the sea. While surfing, Foca fell and the board shot out, hitting the head of Byron. The Hawaiian surfer was furious and broke the board’s fins in rage. When Malibu heard of what Byron had done, and influenced by Rickson and Relson, he came out to challenge the great surfer. Malibu could not find Amona immediately, but two days later he heard that he could be found in the boards shop of Rico de Souza in Recreio. Sergio went to the site, along with an entourage of surfer friends, including Relson and Rickson. Immediately upon arriving, Sergio walked to Byron’s board and broke it, infuriated the big Hawaiian went for Malibu, but Rickson pushed Sergio aside and took the lead. The fight was short and although Byron was a large man, Rickson easily finished him with a “Mata Leao”. More details of this story on the “Surf and BJJ” article. Making the decision to devote himself to jiu jitsu, Malibu sought out Crolin Gracie‘s academy in Barra da Tijuca, the assistant instructor being none other than the legendary Romero “Jacare” Cavalcanti, a purple belt at the time. The gym was small, with few students and most classes were almost 1 on 1 sessions. Strong and agile, due to years spent surfing, Malibu soon revealed his ability for jiu jitsu, and with less than one year of training Master Crolin made him an offer. “If you survive against ‘Jacaré’ for 6 minutes I will grade you as a blue belt”. Malibu accepted the challenge, having bravely resisted 5 minutes and 50 seconds, but with 10 seconds left on the clock he was submitted. The blue belt had to wait a little longer. Shortly after Alvaro Romano informed Sergio of another jiu jitsu gym which was much closer to his house. This was Rolls Gracie’s Academy, a space shared with Carlson Gracie. Malibu came in and immediately signed up, being graded with his blue belt by Rolls a few months later. 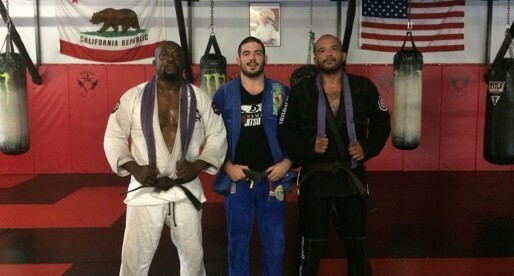 As a blue belt Sergio started competing regularly, having memorable fights against fighters such as Bauru (blue), Marcelo Bustamante (purple), Nelson Graca (purple), Rigan Machado (purple), Carlos Machado (brown), Ricardo Herriot ” Americano” (brown and black) 3x, Mauricio Gomes and others. After Rolls’ death he became Rickson’s student. An interesting story happened as a purple belt, when Sergio and Luiz Palhares closed the absolute division for the Gracie team, being awarded their brown belts after the win. When they returned to the gym both fought the final in an a closed-doors match, a great fight according to those who witnessed it. As the fight went on, and with just a few seconds left to go Malibu managed to pull off an armbar. Palhares was winning by 6 points and did not want to tap, so Helio Gracie (the referee) had to stop the fight to avoid a serious injury to Luiz. In 1984, at a local tournament where Sergio competed against Carlos Henrique “Caique” and Ricardo “Americano”, Malibu was awarded his black belt in a peculiar manner. By hearing Rickson Gracie shout on the microphone, that all three would participate in super fights the following week as black belts. Sergio Malibu was also strongly linked to the beginning of the Master team, a famous academy during the 1990s which formed talented competitors like Alexandre Paiva, Fabio Gurgel, Leo Vieira, Rodrigo “Comprido”, among many, many others. It was in fact Malibu who advised Romero Cavalcanti to use the logo with the “Alligator” for the academy, which became one of the most charismatic logos history of jiu jitsu. In 2011 Sergio “Malibu” Jardim earned his coral belt by the hands of Rickson Gracie. can you make article about Master Luis Palhares?great person and teacher! 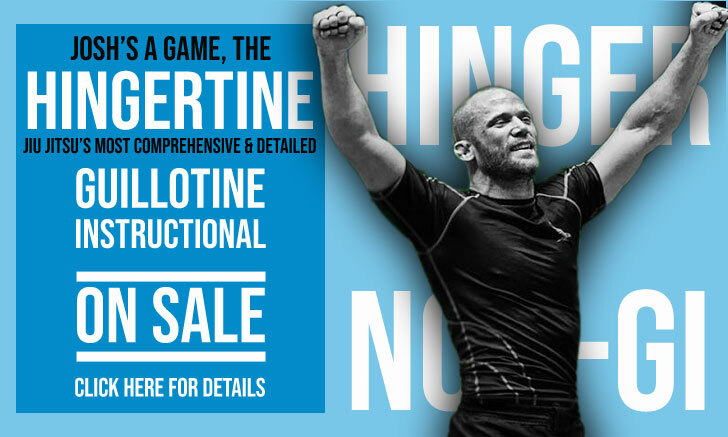 Is Wrestling The Key to ADCC Success?